Contractors participating in ERA's housing rehabilitation and lead hazard control programs must be pre-approved and maintain compliance with the minimum requirements and certifications identified below. Additionally, contractor's must not be prohibited (debarred) from entering into contracts funded with federal, state, or local funds. Possess "tools of the trade" which include basic construction tools and one or more vehicles suitable for transporting materials/tools and accessing project work sites. Have a thorough knowledge of and ability to apply construction industry standards/methodologies and municipal building codes. Provide verification of adequate financial resources to meet obligations. Demonstrate an acceptable record of past performance on comparable residential rehabilitation projects. - Lead Worker Certifications for all individuals working on ERA projects. Maintain compliance with US Environmental Protection Agency RRP (Repair, Renovate, and Paint) requirements - at least one employee of each contractor should have RRP certification. 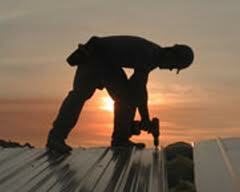 Obtain and maintain statutory minimum levels of Workmen's Compensation insurance. For more information on trainings or becoming a pre-qualified contractor, contact Aaron Snippert at 814.870.1540.